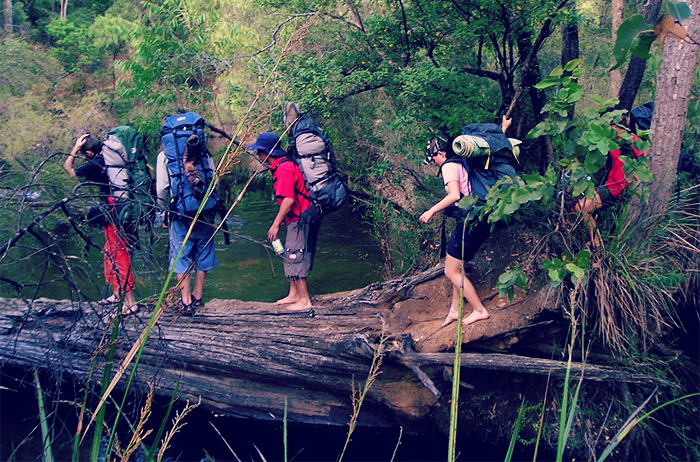 Planning to go bushwalking? Being prepared and ticking off a hiking checklist is essential before you leave. Whether you are going for a day walk or an overnight bushwalk, the gear you take (or don’t take) matters – your equipment can be the difference between a pleasurable and painful experience. Once you know what type of walk you are going to undertake, it’s time to get organised. There is a wide range of gear to choose from. A tip from Steve is only researching one big-ticket item in a trip to the store. So if you need a sleeping bag and a tent, make two trips as there is so much to consider with each purchase that it’s easy to get confused. The lighter and smaller the equipment is, the more expensive it will be. If you don’t want to spend a small fortune on equipment for your first bushwalk look at hiring the equipment. Hiring allows you to decide if you like walking and gives you a better idea of what type of gear you will buy in future. A good quality backpack will mean the difference between a comfortable walk and a painful one. 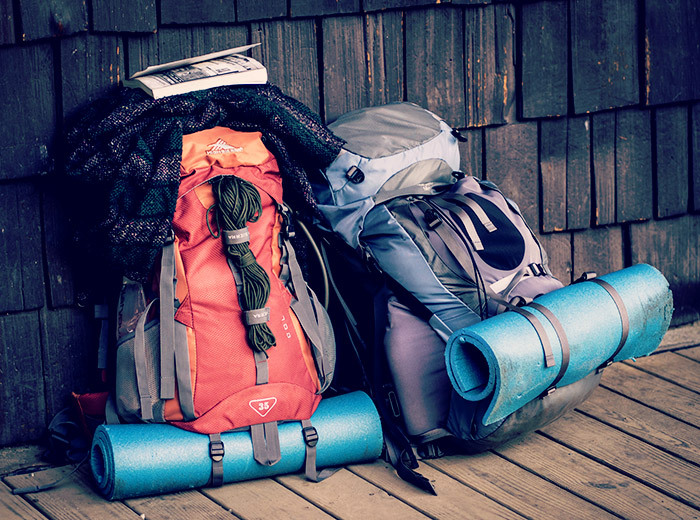 The type of pack will also depend on how long you plan to hike for. You might think you don’t need to take much gear for a day walk but there are a few essential items that can feel heavy by the end of a long walk. A proper hiking day pack will be more comfortable and better for you than a backpack. A 32-litre pack will hold everything you will need for a day trip but don’t be tempted to fill it with items you don’t need. A zipped pocket at the front gives you easy access to items you want to find in a hurry. Ensure your pack has a waist harness, so the weight is on your hips not your shoulders. If you are someone that sweats while exercising a mesh cover on the pack will help keep your back cool. A rain hood will keep your pack and contents dry when it rains. If you want the option of a hydration pack, make sure the pack can accommodate the bladder and hose otherwise you will need a pocket that fits your drink bottle. You will need a few pockets on your pack but not too many that you can’t remember where you packed everything. You need a larger pack for overnight treks to carry your tent, sleeping bag, and stove. A 65-litre pack should be big enough to take everything you need. Look for a pack that can be adjusted to match your height to ensure the pack’s weight sits on your waist and not higher up on your stomach. Well-padded shoulder straps make the pack more comfortable to wear. Sternum and compression straps allow you to pull the backpack in close to your spine for better weight distribution. There are plenty of different tents to choose from. Some tents have an inner and outer shell to keep the inside dry if it rains while you are putting up your tent up and helps with the problem of condensation. Ventilating panels also keep the tent dry. A tent vestibule gives you the option of storing your pack and shoes outside the tent while keeping them dry. Decide how much room you will need for your tent’s vestibule. For fast setup and ease of shifting your tent until you find level ground, choose a tent that is freestanding. You won’t need to carry stakes, just tent poles. 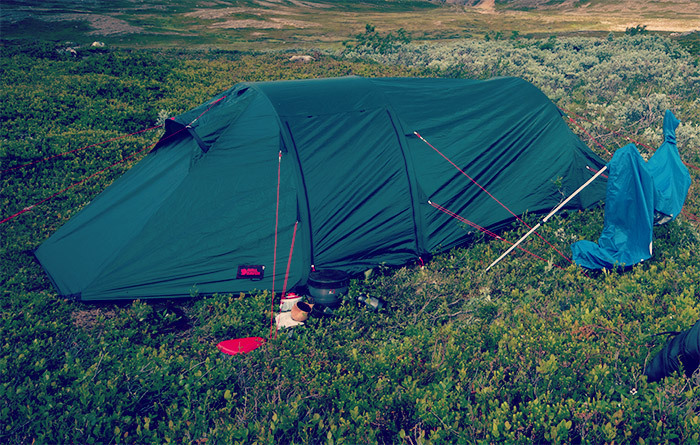 After purchasing your new tent, do a trial run putting it up in the backyard, so you know how it goes together rather than try put it up for the first time in fading light after a long day’s walk. Your shoes will be the hardest working piece of gear you take with you. 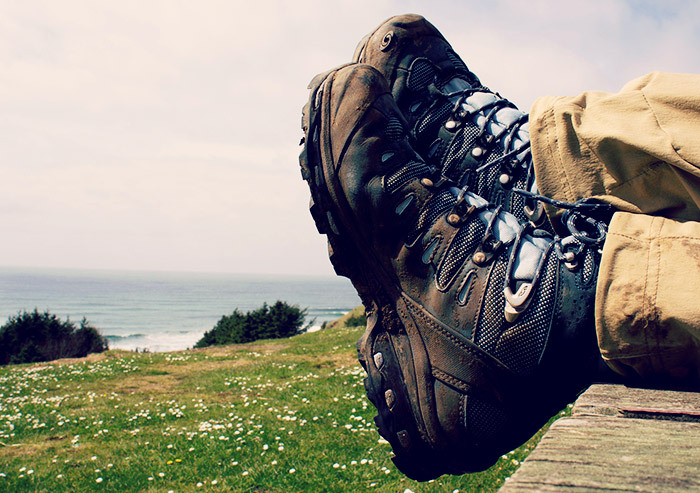 Some people like to buy hiking boots while others prefer to wear sneakers. Be aware that when you are carrying a full overnight pack, the weight will cause your foot to spread in your shoes so make sure they aren’t too tight to allow for comfortable expansion. Some walkers like to wear two pairs of socks to protect their feet while others prefer hiker’s wool to avoid blisters. Walking Sticks – Should You Bother? Using two walking sticks give your upper body a good workout and can take up to 40% of the pressure off your knees particularly when walking downhill. If you are travelling overseas to walk, make sure your sticks can fit inside your pack as they can’t go as cabin luggage. Carbon fibre is a light-weight, durable material if your budget can stretch that far. Look for walking sticks that are height adjustable so your elbows are at right angles when standing on flat ground. Buying good quality equipment is a significant investment. If you are just starting out and not sure if you will become a regular bushwalker, look at hiring the gear. Hiring also gives you a good idea of what you like and don’t like before buying. Once you have all the gear and you’re ready to head out on your walk, make sure you check on the conditions of the track. Some tracks close following bad weather and diversions are put in place. 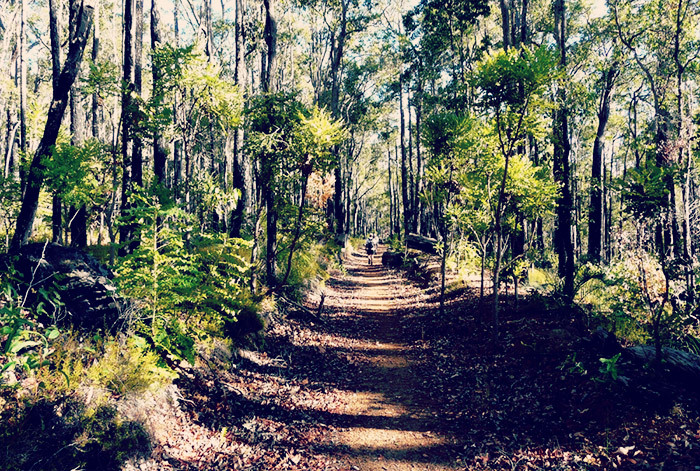 If you are planning to walk the Bibbulmun Track, be sure to check out the resources. Eight handy guidebooks break the track up, so you only need to carry the book for the section you are walking. If your hike is elsewhere in Australia or overseas, we stock a vast range of maps and guidebooks for all the far-flung hiking tracks around the world. 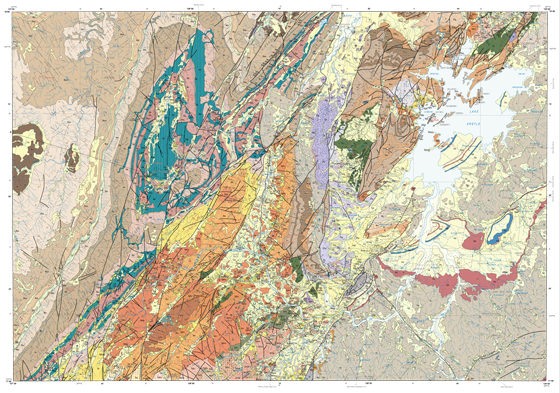 If you are after a particular book, map or a recommendation, don’t hesitate to ask the expert staff at The Chart & Map Shop by calling (08) 9335 8665 or contact us online. 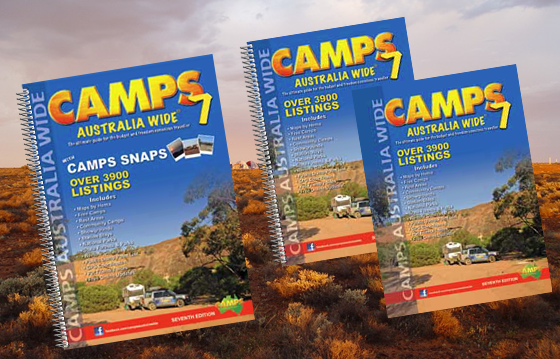 Brand new 7th edition of Camps Australia Wide is due February 15th!